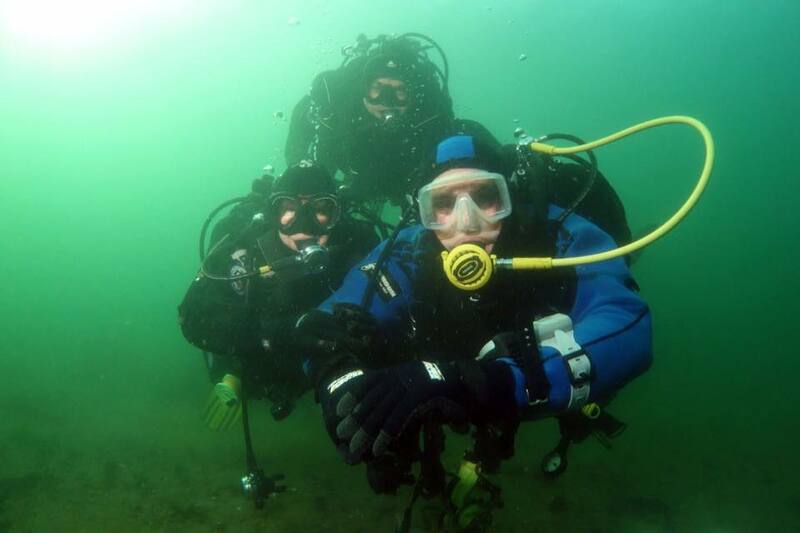 ← Diving Scapa Flow …. 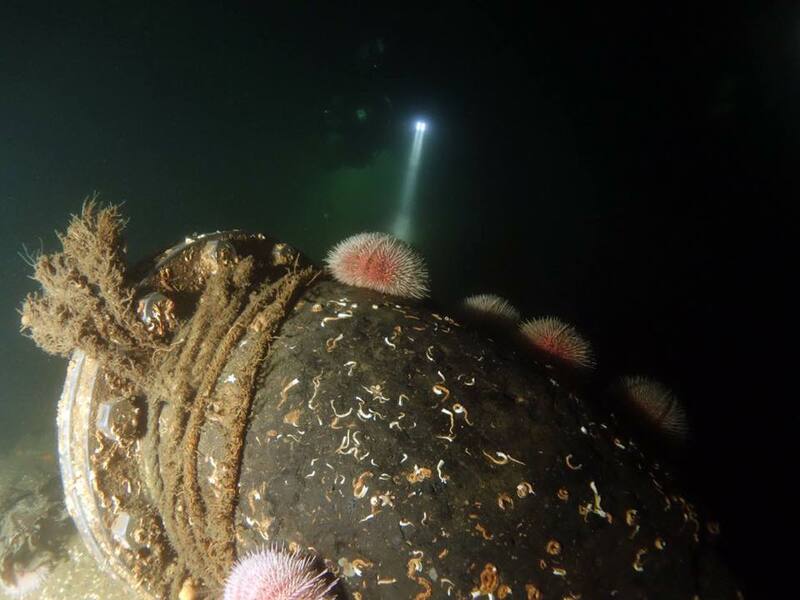 Renowned as a true diving adventure the SS.Kintyre literally shouted out for me to visit it down in the depths of the Clyde. 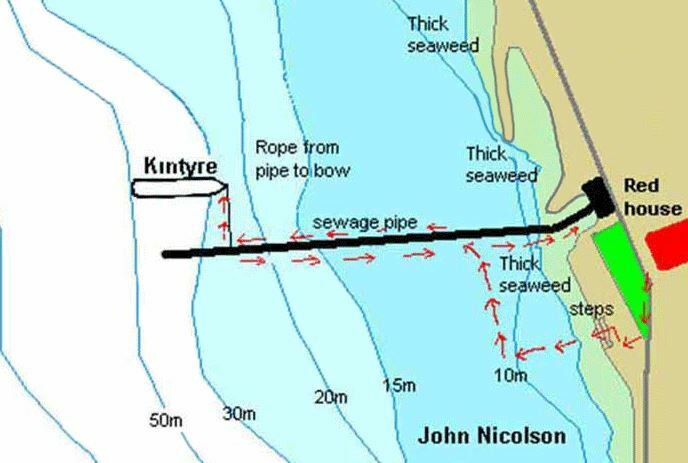 I am not sure where or when I first heard about the Kintyre but for some reason I had fixated on diving it for years. It had come up in a conversation between Neil and I and it turned out he had dived it with Karon, who at one time had actually lived on the sea front right next to the dive site. Neil said he would ask Karon and crew if they fancied a return visit. And as luck would have it everyone was keen. Map courtesy of John Nicolson and Finstrokes a great resource. 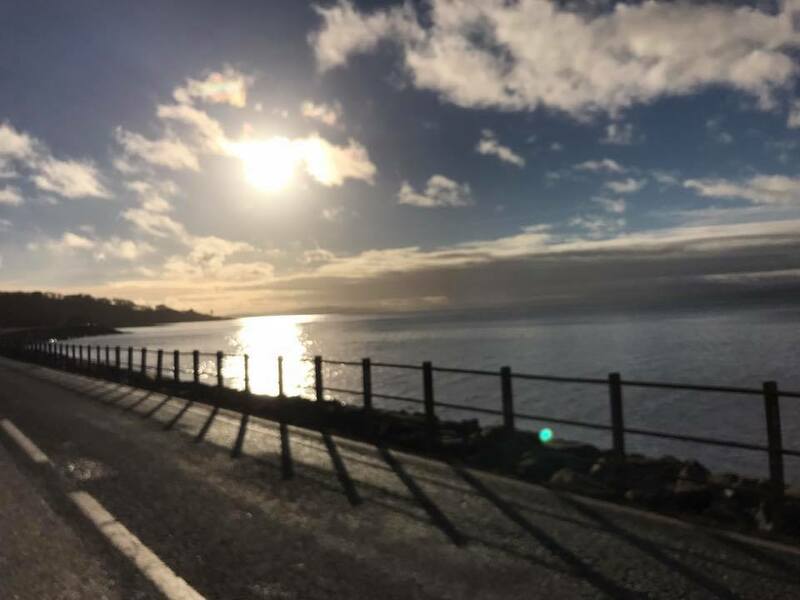 We planned it for end of November , the tides and currents were right, the weather hopefully high pressure day arrived and thank the weather gods for a perfect high pressure sunny day. I left Hawick early to arrive at Neil’s house in Glasgow for 7:30am. Our plan was to be in the water for 10am high tide and slack , and out by 11:30 before the tide sucked us out into the Clyde. 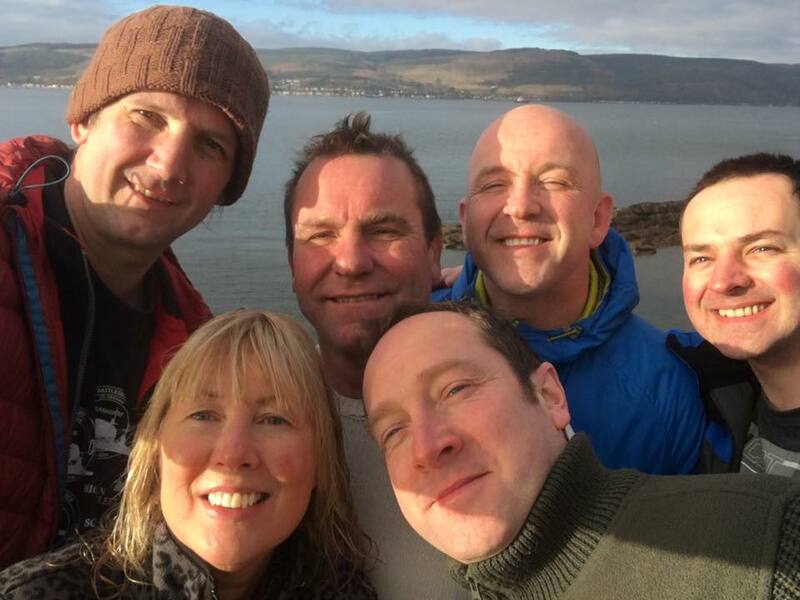 We quickly headed towards lags and joined the Glasgow crew of John , Grant , Callum and the bubble queen herself Karon. Our access was a rocky outcrop by the sea where we would drop into an 6m deep pool and swim out. 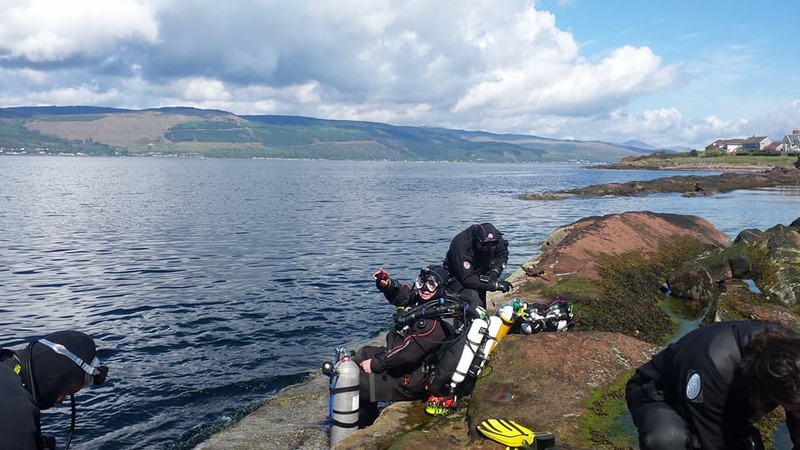 After a hard hour lugging our equipment down we finally entered the water just after 10am, gathered our group and took a bearing for the pipe then headed out and down into the darkness of the Clyde. It’s a technical dive that needs to be respected , a long dive from shore with tides to plan, currents to watch for, dark , deep and with decompression commitments. Neil and I would cut our deco short with a tank of 50% which would also give us a good margin of safety should god forbid anything unplanned happen.We followed the pipe until a fixed line left it heading east at around 33m. We followed the line out into the darkness until a large Bow appeared from the gloom. 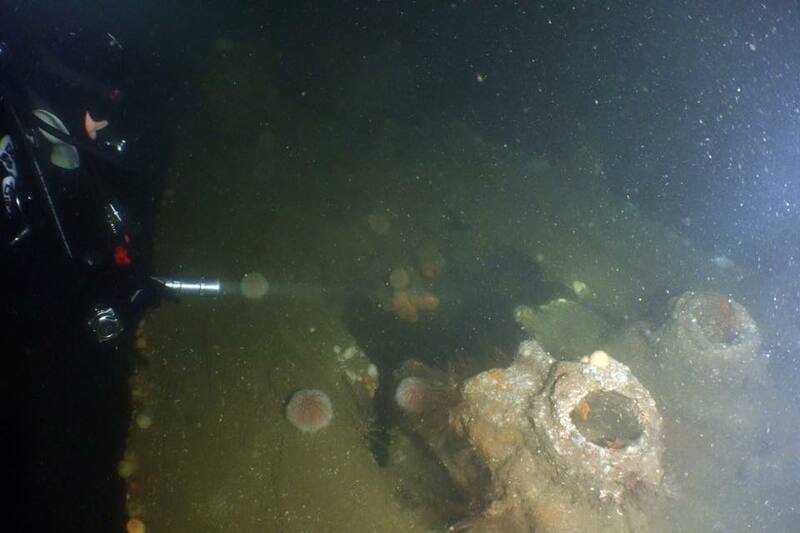 We had struck lucky with our viz and could see at least 6m into our torchlight and the wreck looked very intact except for in places its substructure was bare making it look like a huge whale skeleton you see hanging in the museums. 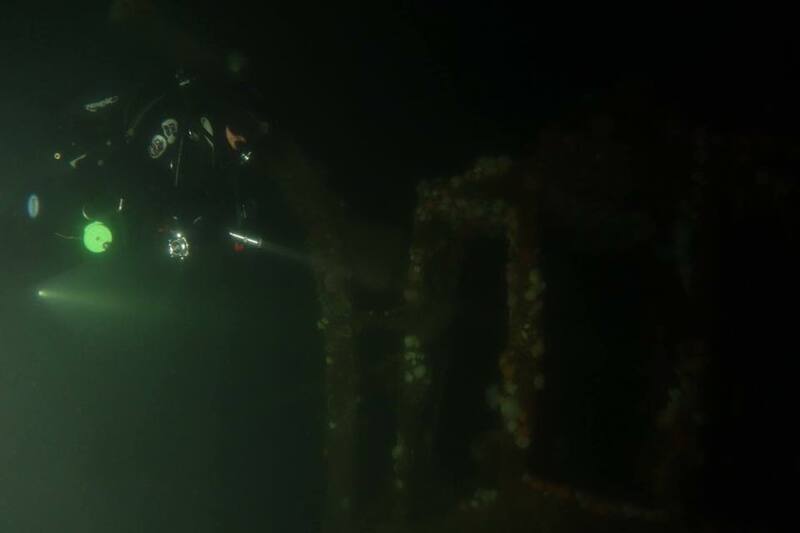 We descended to 47m and at this point the wreck was broken and lying on the bottom so with deco clocking up and a little narcosis starting to fog the brain we reversed our dive and headed back up its carcass. 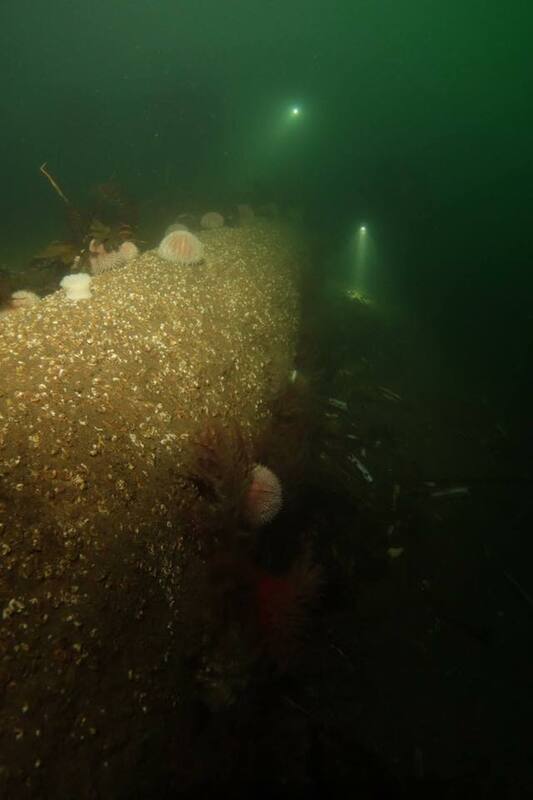 Neil and I signaled to leave the wreck and we headed off up the line, eventually seeing the pipe welcoming us out the darkness to guide us topside and home. Eventually everyone had surfaced, the dive had been executed perfectly and everyone was safe and smiling. We were all buzzing as we sorted our gear and started the strenuous job of getting everything back to the car. 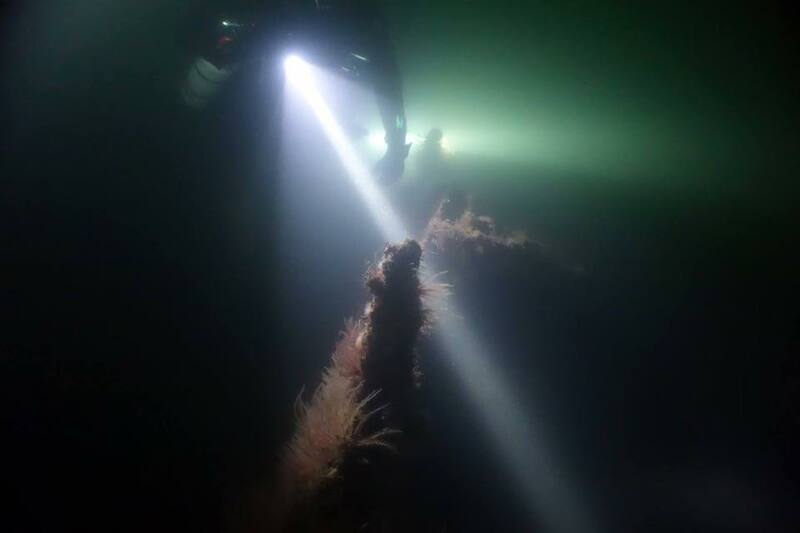 I loved this dive , it was a fantastic micro-Adventure , it had everything I love about what I do, another amazing trip to see something fantastic and with good friends to share it with. Result! another bucket-list dream accomplished. 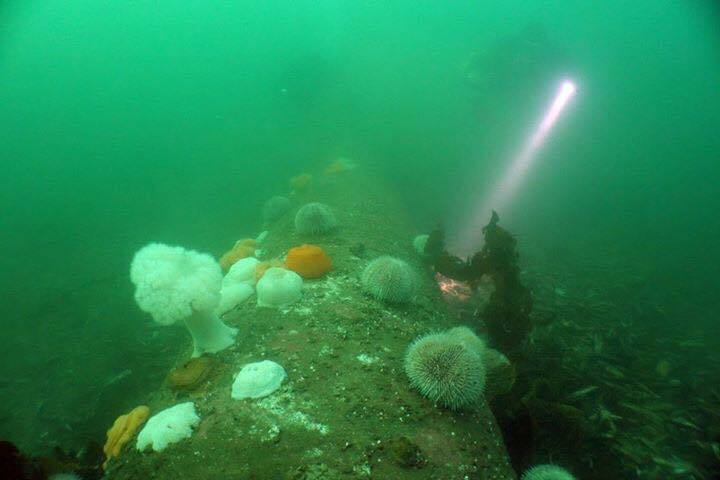 The pipe, sealife microcosm of the Clyde ..